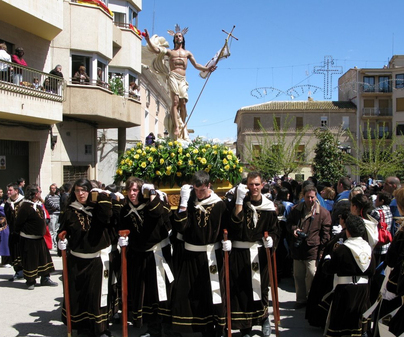 Drum sound uninterruptedly during Easter in Tobarra, only falling silent at solemn events. Especially during the blessing imparted by Jesus Nazarene articulated image, to which more than 30,000 people, coming from all over the world, go every year. The moment is breathtaking: as if the carving had come to life, his arm blesses the people present, at the four cardinal points, after the sermon, and followed by the notes of the Mektub funeral march. Afterwards the drums sound again, for more than 100 hours, unceasingly. 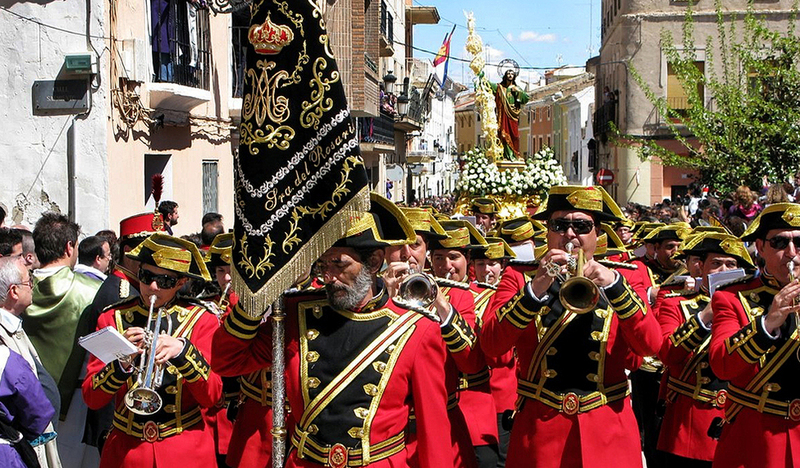 They will do it during the procession of the Santísima Virgen de los Dolores, a carving by Francisco Salzillo. And also the Bajada del Cristo de la Caída, during Holy Thursday, a proof of strength, sacrifice and devotion for the bearers: the frames weight more than 2,000 kilos. Movable date. From Ash Wednesday at 3 in the afternoon to Easter Sunday at 12 at night. The artisan drums from Tobarra are very famous, and it is worth to know them by visiting the Drum Museum, and even buying one at their local shops.